7th Regiment Christina Nadeau has been appointed as 7th Regiment drum major. "Chrissy was selected from a strong pool of veteran candidates," Director Tim Rall said. "She is well respected by her peers for her strong work ethic and dedication to the corps." The Academy The Academy still has open positions in its bass drum, trumpet, tuba, baritone and color guard sections for those interested in joining the corps for its 2013 summer season. Blue Devils Blue Devils will host their next rehearsal camp this weekend, March 15-17, in Concord, Calif. Check out what they'll be up to hour-by-hour in an itinerary posted on the corps' website. Blue Devils B Blue Devils B currently has open positions in its brass and color guard sections. The corps will host a free workshop for color guard members on Sunday, April 21. Blue Knights Blue Knights' hometown DCI Tour event, Drums Along the Rockies, will be celebrating its 50th year when it returns to Denver's Sports Authority Field at Mile High on Saturday, July 6. Bluecoats Bluecoats' "Into the Blue" documentary video, chronicling the corps' 2012 summer tour, is now available to purchase and download. The Cadets Director George Hopkins will lead a webinar on Monday, March 18, to discuss the progress of the 2013 Cadets. Special guests will be percussion supervisors Colin McNutt and Iain Moyer. Carolina Crown Carolina Crown announced its 2013 schedule of "CrownLEARNING" summer camps. The educational sessions with separate tracks for percussion, drum majors, color guard and brass students, will take place from the end of May into June. Cascades On Saturday, March 16, Cascades will be recruiting at the NWPA Winter Guard Competition at Kamiak High School in Mukilteo, Wash.
Colt Cadets Colt Cadets will host their next rehearsal on Sunday, March 17, at Jefferson Middle School in Dubuque, Iowa. Participation is free and open to any middle or high school students of any skill level. Crossmen Crossmen posted a roster of its 2013 color guard instructional staff members. 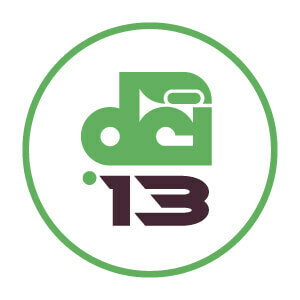 "[Caption Head] John Leonard has assembled another stellar team for the 2013 Crossmen," Program Coordinator Ed Devlin said. "John always has one eye on the present and one on the future for the Crossmen." Genesis Genesis kicked off a new fundraising campaign with a goal of raising $18,000 to replace the corps' well-worn uniforms. Take a look at an artist's sketch of the corps' new look that it aims to debut during the summer of 2013. Jersey Surf Get involved with Jersey Surf's support staff this summer. The corps is currently seeking an athletic trainer, interns, an equipment manager and food service staff. Legends Legends still has a limited number of positions open in its brass, percussion and color guard sections, along with an opportunity for an assistant conductor. The corps' next rehearsal will be held March 22-24, in Kalamazoo, Mich.
Madison Scouts The Madison Scouts organization is seeking drivers to operate its fleet of vehicles during the corps' 2013 summer tour. Music City Great weather allowed Music City to get outside during its March rehearsal camp. Check out photos from the weekend on the corps' Facebook page. Oregon Crusaders Tickets are now available for the Oregon Crusaders' "Trumpets in the Trees" fundraising event on Friday, May 3, at the World Forestry Center in Portland. Racine Scouts Racine Scouts' 2013 production "From the Ashes," will feature selections from Stravinsky's "The Firebird." Santa Clara Vanguard Santa Clara Vanguard and the Vanguard Cadets are on the lookout for drivers to operate the two corps' fleet of vehicles during their 2013 summer tours. Spirit of Atlanta Spirit of Atlanta has selected its 2013 administrative interns. "Each of these outstanding young people brings an enthusiasm for the drum corps activity, an exemplary attitude for service, and diverse set of knowledge and skills to these positions," Executive Director Todd Snead said. Spirit of New Jersey Spirit of New Jersey will hold its first rehearsal of the year, March 23 and 24, at the Queen of Angels School in Newark. All interested corps members are invited to attend.